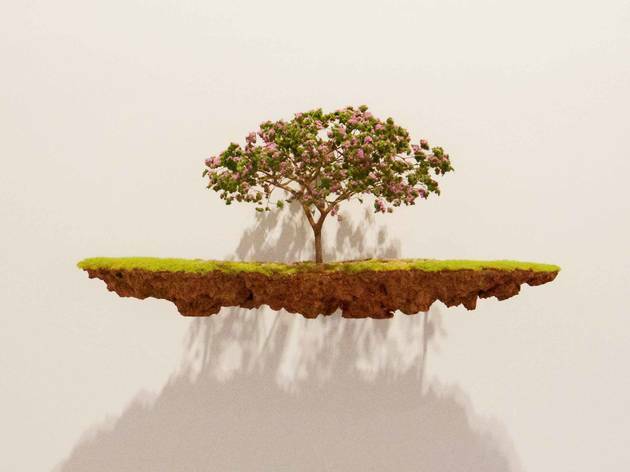 Nature is given a surreal lift in these sculptures by Mayet, a Cuban artist based in Spain. 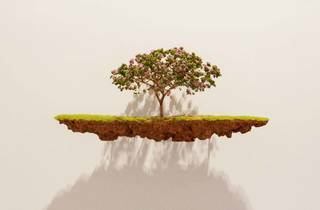 Three-dimensional landscape vignettes, and trees pulled from their roots, are suspended to created the illusion that they are floating in space. The results suggest memories that somehow elude the mind’s ability to recapture them.